Grounded Theory Forum meetings coming up! Tuesday 17th March 2015 from 1-3pm in Cottesbrooke room C212, Park campus. Fiona Barchard leads a discussion on ‘Constructivist and constructionist approaches to grounded theory’. Fiona is a Prof Doc student using GT in her thesis module. Thursday 18th June 2015 from 1-3pm in Cottesbrooke room C212. The University wide Grounded Theory Forum was started by Sarah with colleagues from Education and Social Sciences. 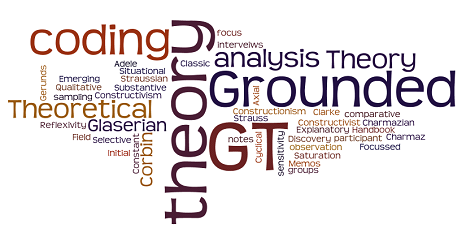 The forum discusses GT approaches, challenges and developments and would interest those teaching grounded theory, researchers using grounded theory, including post docs and doctoral students. Posted on February 16, 2015, in Events, School of Health and tagged Grounded theory forum, Meetings, School of Health. Bookmark the permalink. Leave a comment.